This summer, we can't get enough of blue-green tints (mint, sea foam, and jade), and we're excited to see these colors in all facets of design. Maybe it's the heat and our longing for a mint mojito, the ocean breeze, and waves crashing at our feet that has us desiring these blue-green variants. When you have a strong attraction to a color, sometimes you just need to find that perfect dress, home accessory, paint color, or sweet treat to satisfy your craving! Dream destination of North Island, a private island in the Seychelles, blue-green waters beckon at sunset. 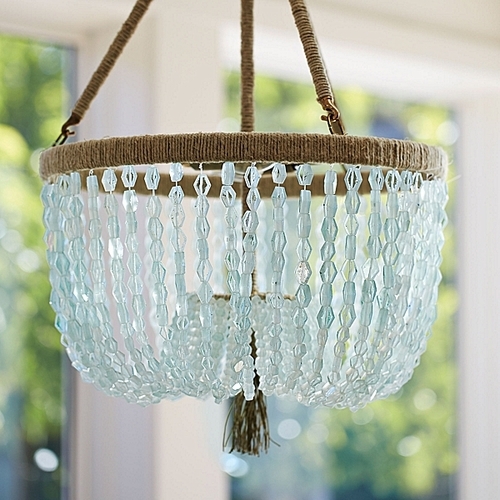 "Seychelles Chandelier" on Serena & Lily. Mint chocolate chip ice cream sandwich cookies. Essie mint candy apple nail polish. Miranda Kerr looking fab in a Balenciaga mint maxi. Little reading nook with sea foam finishes. Beautiful dining room in accents of blue-greens. 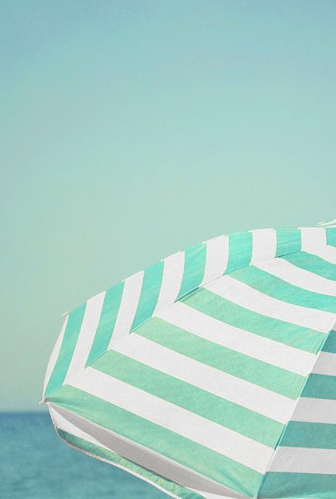 Stay cool at the beach under a mint and white umbrella! To see more refreshing pinspirations, check out our blue-green color board on Pinterest!